Locals (particularly those who haven't travelled overseas) are often surprised to find out how much cheaper property is in South Africa than in many other parts of the world. Of course, we have very high interest rates compared to many other parts of the world, which pushes the actual cost of property up for us somewhat, as very, very few people can afford to buy property without taking out a mortgage bond. But nevertheless, it's still a whole lot cheaper to buy an average suburban home here than it is in Sydney, for instance. 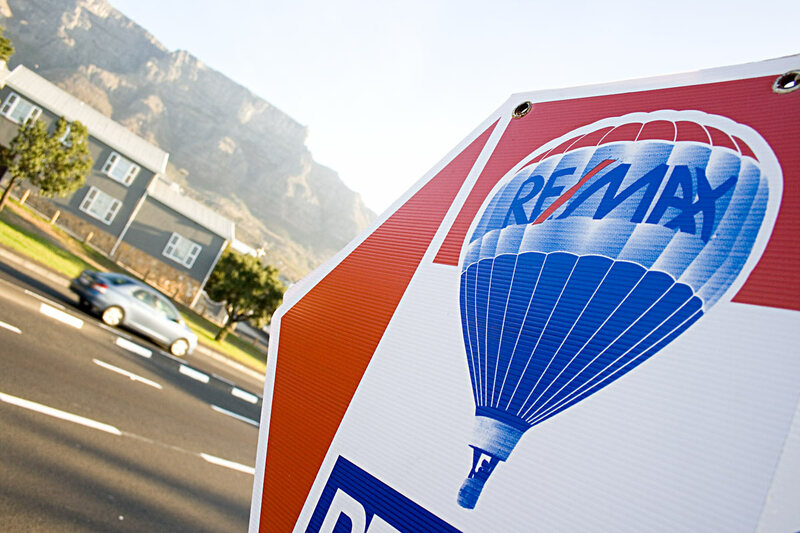 According to Global Property Guide, Cape Town is the 53rd-most expensive city in the world in terms of property - their comparison is based on the average purchase price in US dollars of a 120-square-metre apartment in a prime inner city area. Our property market has seen quite a slowdown in the last two years or so (after a massive boom in the four years before that), but it does seem to be slowly (very slowly) starting to pick up again - at least in certain sectors of the market. Posted in Street photography and tagged finance, sign on Friday, 8 May, 2009 by Kerry-Anne.